So far this is my favorite Tunisian stitch of all! 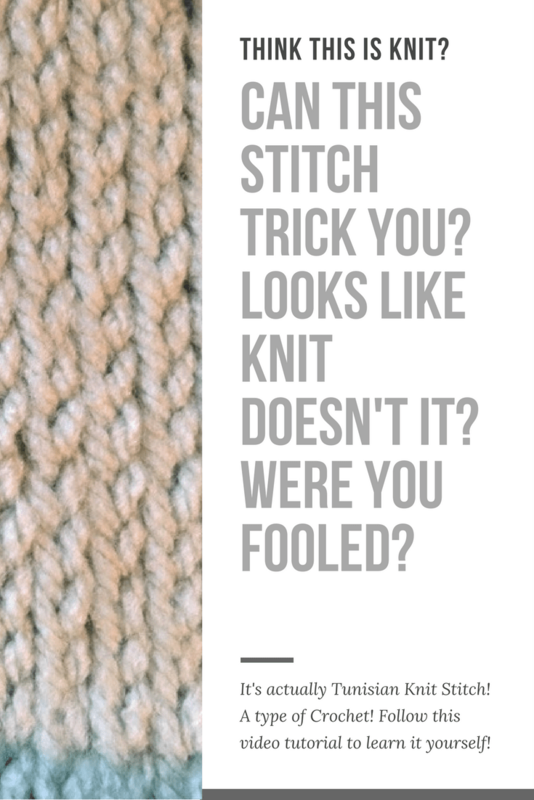 I’m hoping to design a hat that utilizes this thick and cozy stitch. This is the third block in our CAL! Are you following along? How are your squares coming? Here is the new stitch for Block C! 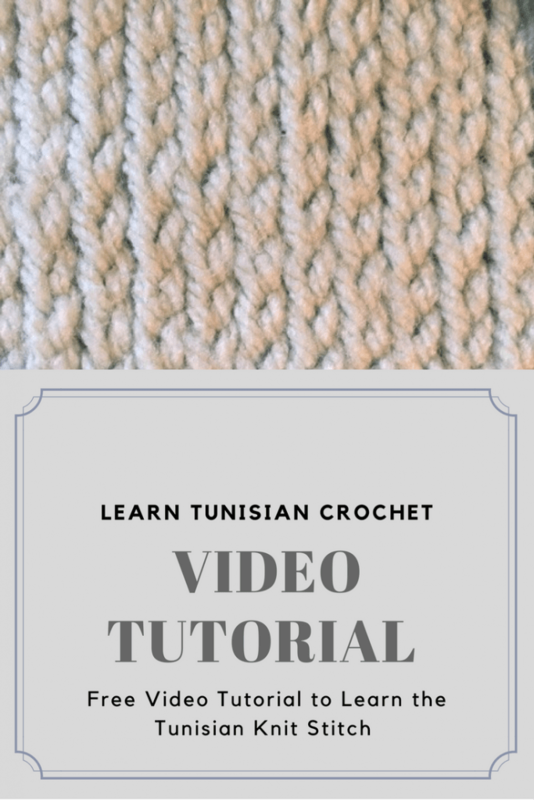 The Tunisian Knit Stitch! Here is the new stitch! We got a new tripod which allows a much closer view of the how-to, but at first we had some problems with it slipping slowly. I fall off the screen a bit, but I tried to make sure you still get plenty of instruction. If it is a serious problem let me know and we’ll try to reshoot the video one day. We did figure out how to prevent the slipping, so it’s only in a small part of the video. I hope you like the closer view! The closer view makes me wish I was a manicure type of girl. Ignore my awful fingers. Thanks to my husband for filming and editing! You can see a sample of my square. The color is Baby Green from Nicole Studio Classic. It is much mintier in real life. I’ll try to snap a better photo example soon. 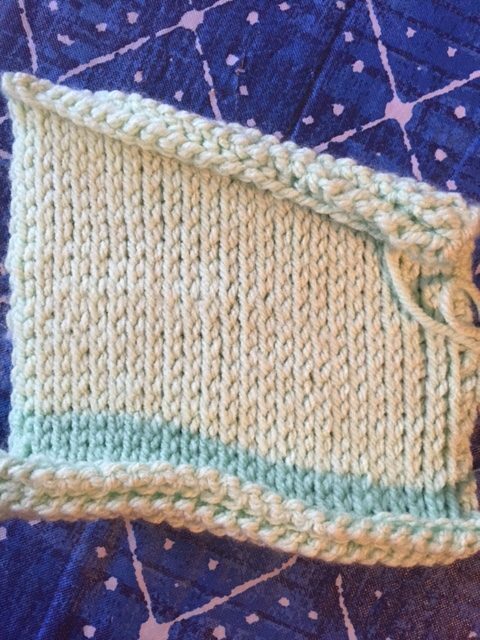 I experimented with how to make a clean edge for this stitch and some of my squares are a bit frumpy on one side, BUT I did find the best possible way and show it to you in the video! I figure the edges will get sewn in probably anyway, OR maybe I’ll get all over-the-top and do some crazy quilt style embroidery, so I didn’t bother remaking squares as I went. Besides the fact that done is better than perfect, sometimes I love an imperfection in my homemade items. Especially if they are for personal use. Previous Post: Weekly Workbasket for September 17- Mount Vernon and More!